John Wall needs to be rebuilt. Bryce Harper is on the precipice of dumping us. Alex Smith might be rehabbing for eternity. And the Capitals currently have more blown saves than Drew Storen. WASHINGTON — My fellow D.C. sports fans. We meet at a moment of very limited potential. 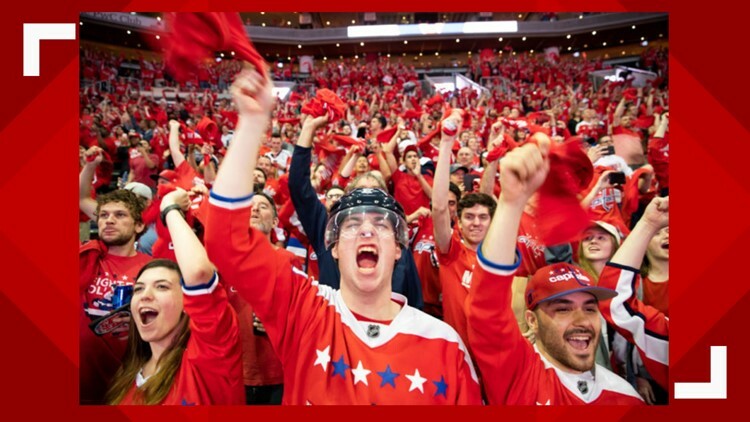 I stand here ready to work with you to achieve historic breakthroughs, that we will not be four different franchises and three very different owners but instead one D.C. sports family. But it’s not going to happen. Unfortunately, we are a dysfunctional family, plagued by gut-punch losses, career-altering, if not career-ending, injuries and a ruthless dictator in Ashburn, Va., that must be stopped. Bryce Harper does not want to go to couple’s counseling with us. I am worried it’s over. We hope otherwise, but Alex Smith may not play quarterback again in the NFL. The Caps are currently comatose. And the Wizards, with John Wall now sidelined until 2020, are as woebegone as always. The Wiz shipped Otto Porter to Chicago Wednesday night just to shed salary and rent Jabari Parker and Bobby Portis for a few months. Then they sent Markieff Morris to New Orleans for, like, two bowls of jambalaya. There is a new opportunity in D.C. sports if only we have the courage to come together – and severely reduce our expectations. For example, victory is not winning for our party. The Washington Capitals winning the Stanley Cup last season was beyond our wildest dreams. 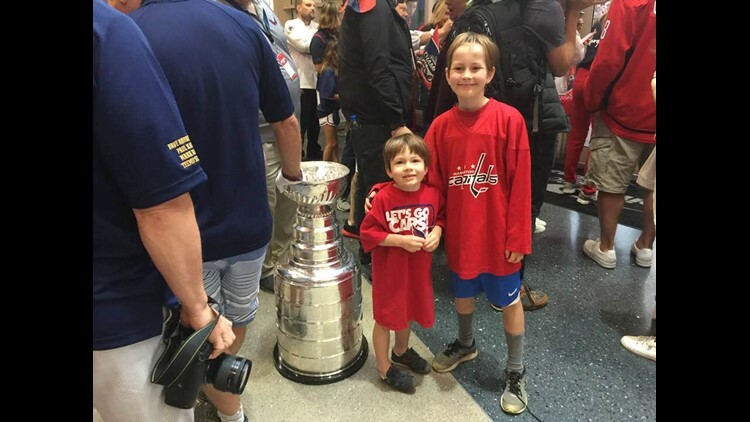 Heck, I’m supposed to be an objective journalist and I had my kids taking pics with Ovi and the Cup. But we need to realize that was an aberration that our children’s children may never see again. Before last June, we had a quarter century of abject pain. Oh, Maryland’s men and women ‘ballers won national championships, Georgetown and itty-bitty George Mason went to the Final Four in the 2000s and the Nationals, Caps and the Wizards alternated between suspenseful and sucky, depending on the year. Ovi, Oshie and the Boys have raised expectations, but we need to keep setting our bar low to feel good about any measly win. Comparing ourselves to anyone is a recipe for depression. Like, there are voting-aged adults now in Boston who, in their 18 years on God’s green earth, have attended 12 championship parades and seen all of their beloved teams soar to the pinnacle of their respective sports. Most 18-year-olds raised in and around D.C. kick rocks. They don’t even believe Joe Gibbs and the Hogs happened. It’s like a bedtime story. Simply put, when he is healthy again, Wall works and Wall saves us from taking dives. All of this is a moral issue, mostly because of what one man has foisted upon us. The lawless state of our Virginia border is a threat to the safety, security and financial well-being of all D.C. sports fans, who continue to sadly buy burgundy and gold onesies for their cursed children. If I had not staged a coup against the hosts currently working at Miserable Suburban Guy sports radio in town, we would right now, in my opinion, be at peace with Dan Snyder and Bruce Allen. Much ill-will remains to be spread. Unless he’s paying, Chairman Snyder and I will never meet again. The hour has come for forcible removal of Ashburnistan's leaders. It’s time. The next major priority for me and for all of us should be to get everyone to win and to provide addiction specialists to deal with recovering Washington football fans, especially those with pre-existing conditions like Adam Archuleta jerseys. Now we must step boldly and bravely into the next chapter of this maddening DC sports adventure, and we must create a new standard of mediocrity for the 21st century. An amazing paucity of life for anyone still sitting in the 400s is within reach. We can make our hopes smaller, our dreams frailer, our faith shallower, and our predictions bigger and more preposterous than ever before. But we must reject the politics of redemption, resilience and resolve and embrace the boundless potential of every offseason and a high draft pick. We can divide and conquer, pull the scab off old wounds, kill new coalitions, forget new solutions, and put a padlock on the unrealistic promise of D.C.’s sports future. The decision is ours to make. We must choose between greatness or gridlock, results or resistance, vision or vengeance, incredible progress or pointless destruction. Tonight, I ask you to choose pointless destruction. No, that’s harsh. Gridlock is fine. Finally, I’d like to honor three lifelong, dyed-in-the-wool fans, who have attended every soul-crushing, heart-breaking, Gus Frerotte-helmet-slamming game in the past half century. But I can’t. Because they’re all dead. D.C. Sports siphoned their souls from their bodies. Thank you. God bless you, and God bless DC Sports.